Trophy of God's Grace: ClearPlay- can't say enough good about it! ClearPlay- can't say enough good about it! Click here to see three brand new short video's about ClearPlay and how it works. This link also takes you to a special sale price of $59.99, which includes a free trial membership. A ClearPlay unit would make a great Christmas gift for the family, if you don't already have one. I totally agree. Clearplay is great! Jerri, we have LOVED our ClearPlay since you recommended it to us last year. We tell everyone about it!! This blog is dedicated to the practical responsibilities we have as help-meets and homemakers. Come along and be a fly on the wall and see how a family with thirteen children "works". I am blessed to be the wife of my best friend, David. We have been married for 29 years. 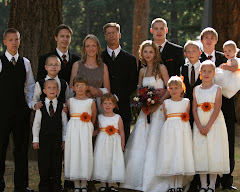 I am also blessed to be the mother of thirteen children and one daughter-in-law. 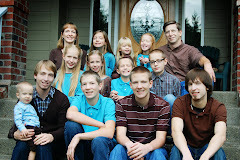 We have eight boys and five girls, ages 3 years old to 27 years old. We home educate and attend an age integrated church.